Resilience is a core skill you must call upon when you are facing challenging or adverse situations. Job loss and job search are times when resilience is needed. If over the years you have developed skills to build your resilience, you have the inner strength to bounce back from adversity. However, if you haven’t built these skills, now is the time to develop the key behavioral components needed to help you successfully address the challenges linked to job loss and the transition process. Learning and strengthening resilience skills takes practice. Tara Parker-Hope wrote an article for The Science Section of the New York Times entitled, “How to Build Resilience in Midlife.” She also referenced Dr. Dennis Charney’s book Resilience: The Science of Mastering Life’s Greatest Challenges. Ms. Parker-Hope identified ways to build resilience: Be Optimistic, Re-Write Your Story, Identify Former Comebacks, Reduce Stress by Supporting Others. Developing skills and strategies linked to resilience must be honed and continually practiced. Why? They are linked to changing your mindset. To me, the most important skill a resilient person has is the ability to be positive. Being optimistic at some level is genetic or at least a product of socialization. Being an optimist or a Pollyanna may not be in your DNA; but it must be learned and embraced if you want to successfully bounce back from your transition experiences or any other adversities you face along the road of life. Develop a ‘can-do attitude’ rather than a defeatist mindset. Think positively. It is remarkable how your thoughts can help build your inner strength. In addition, surround yourself with people who are thinking positively. I believe if enough people send positive vibes your way, that energy will help you succeed. Positive thoughts reap positive results. Another strategy entails re-framing your personal and professional goals. The reason for this is; you can’t go back. Reflect on the words of Heraclitus, “No man ever steps in the same river twice.” See your situation as the next step on life’s journey. You aren’t going to find the same job. Your path is different; it might even be better in some ways or at least more fulfilling. Think of your loss as a gift; a chance for a new beginning. 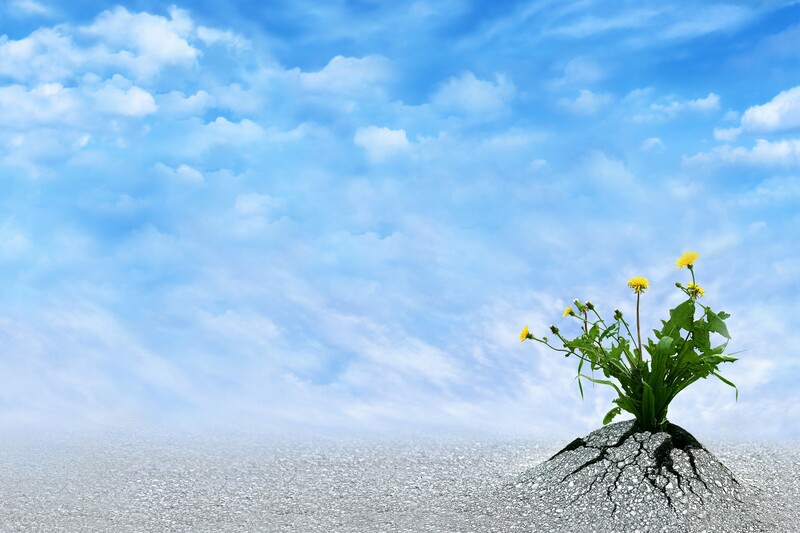 Resilience will give you the strength and the energy to re-purpose your skills and reshape your career objectives. Belief in yourself builds resiliency, helping you see a temporary defeat or loss isn’t failure. Your positive attitude is a core ingredient needed for your professional and personal growth. Resilience is the special sauce and it can lead to new successes. If you believe you will get a job, you will get a job. Reflect on how you overcame past difficulties in both your personal and professional life. Remembering how you approached those difficult times will help you build resilience. Networking is key to building and maintaining resilience. Research shows people who have strong networks of family and friends are better able to handle a crisis. Building this network might mean getting out of your comfort zone. It also means meeting new people and reconnecting with old friends. Networking means helping others, which is a great way to reduce stress. When you help others, you are building your own personal resilience; you are giving your mind and body a stress break.